Matthies Builders Inc. is a luxury custom homebuilder serving the western suburbs of Chicago. Established as one of the area’s premier luxury custom builders, we specialize in distinctive single-family homes architecturally suited for positioning within historic villages. We are a family-owned boutique builder. This focus allows us to remain dedicated to serving our clients’ individual needs while crafting beautifully appointed residences. While working one-on-one with our clients, we serve as general contractor as well as construction and design consultant. 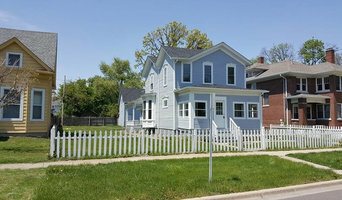 Matthies Builders Inc. is a general contracting firm established in 1997 who has built over 100 custom homes in the western suburbs of Chicago. This family owned business is lead by David Matthies and his wife Joanna. Matthies Builders Inc. is committed to making your dreams a reality, helping every step of the way from land acquisition, design phase, construction and standing behind their homes with a home warranty. Our clients are typically seeking homes of distinction where quality abounds. We work with our clients from early on in the design phase all the way through the completion of the project. In addition, we often assist with minor changes after completion to help tailor a home to a client’s needs. Our sole objective is to offer you endless possibilities and build your dream home. Cornerstone Renovations LLC is a residential new construction and full service remodeling company based in Downers Grove Il. We specialize in new single family home construction, and residential remodeling that create the desired dream spaces for our clients. Owner is also a licensed real estate broker, as well as real estate developer. 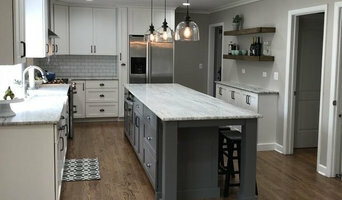 4Ever Remodeling is an award winning full service design-build firm and general contractor offering our customers unforgettable experience and satisfaction guaranteed. Over the years we have been demonstrating philosophy focused on affordable prices, seamless process, and on time project completion with remarkable outcomes. Under our leadership we have successfully accomplished hundreds of projects that included: Home Additions, Kitchen Remodeling, Basement Remodeling, Bathroom Remodeling and many more. Contact us today to schedule your estimate. We are licensed architects, tradesmen and designers, all lending our expertise to provide you with the best experience possible as we work together to make your home remodeling vision a reality. We will work with you every step of the way, even providing you with architectural renderings that incorporate your ideas with our suggestions, so you can visualize what your project could look like when complete, all at no cost or obligation to you. Every phase of your project is handled by us, so we stay with you throughout the entire process. You don’t have to juggle the various aspects of the job because we’ll assign a Design Team and a Project Manager to your project. The Design Team will work side by side with you throughout the design layout and material selection processes and will stay with you until project completion. Your Project Manager will stay on top of all the design and construction phases of your project, while keeping you abreast of all details along the way. Whether you’re remodeling a room in your house, adding an addition, or building a new home or commercial development, we can assist and guide you with every need. Look to LaMantia Design and Construction for Expertise and Excellence on Any Kind of Home Addition, Remodel or Renovation Project, Residential or Commercial.